Simple Trick to Boot Recovery Mode Your LG G4 - Hello everyone, after AnyIndo was disappeared for some months, now we come back with our tips and tutorial to solve and overcome LG G4 problems. This trick will be useful for those who facing LG G4 reset problem. We hope this simple trick can help if someone want to buy LG G4 phone in the future. In this chance, AnyIndo is going to tell you how to get into recovery mode on the LG G4. Actually, this method was created to reset to factory settings on LG G4, because this relates to LG G4 recovery. 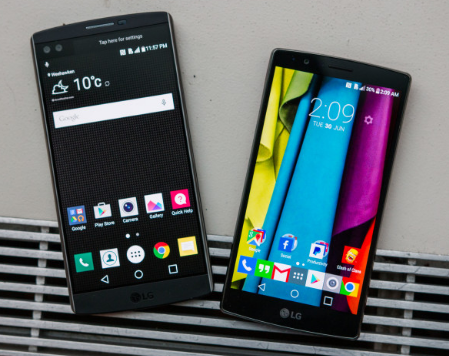 Turn off / power off first your LG G4. Press the volume down + power button simultaneously. Continue to press the volume down + power button simultaneously until the LG logo appears on the screen. Once you see the LG logo, release both buttons for 1 second and then immediately press the volume down key + power button simultaneously until you get into LG G4 Recovery mode. Good luck and leave the comment bellow if you have any questions relates to this article. Belum ada tanggapan untuk "Simple Trick to Boot Recovery Mode Your LG G4"